Today, we’re giving you not one, but TWO Follow Friday’s! Every month we feature several woodworkers within our online publications, Wood News Online and The Highland Woodworker, where they each have a column devoted to a woodworking specialty. These specialties include Shop Design, Woodworking, Carving, and Turning. Want us to showcase your own shop or projects? Check out the end of this column to see how you can submit to our newsletters! Plywood walls to allow easy installation of shelves and hangars. A Sawstop Cabinet Saw (which makes him feel much safer when ripping stock). 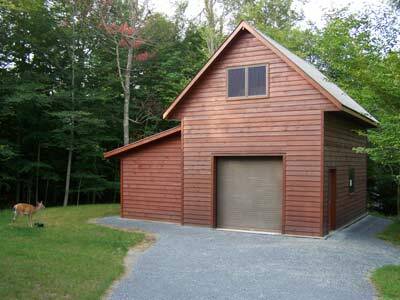 10 foot high ceilings, which allow easy swinging and handling of long boards. Shelves with angled fronts that allow easy clamp storage and which also keep items from falling. A self-fashioned system to easily move his non-mobile lathe. A sturdy, fold-down set of stairs that can be lifted with just one finger. An attic used for wood storage. To find out more about Jim’s shop and to view pictures of some of his mechanisms, CLICK HERE. Show Us Your Woodworking: Mike Stafford has been fascinated with woodworking for much of his life, and is now at a point in life where he gets to do it as an everyday hobby! Mike and his wife, Kathie, built their kitchen together after Kathie created the design and Mike did the actual construction. After the kitchen, they decided to redo their bedroom furniture including nightstands and dressers, made of a variety of woods, finishes, and hardware. Most recently, they designed a 3-part Credenza to store all of their old movies in their living room. The top drawer is straight grained walnut cut in a serpentine pattern which shows off the vertical lines in the wood. 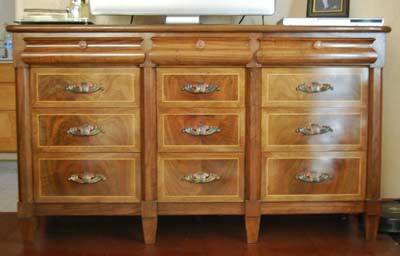 The lower two drawers have an outside ‘frame’ in very uniform grained walnut sapwood. A maple inlay sets off the book matched walnut crotch wood as the inside face of the drawer frame. The dresser drawers are all book matched crotch wood. 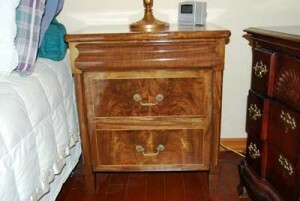 The drawer details in the night stand drawer fronts are the same in the dressers as in the nightstands. The hardware on the flat drawers is original 1930’s Art Deco Bakelite with bronze metal. Each bank of drawers on the Credenza is book matched and the faces have incredible depth. We found some drawer pulls in matte bronze with an art deco design impressed on them. The finish is Arm-R-Seal wipe on finish. 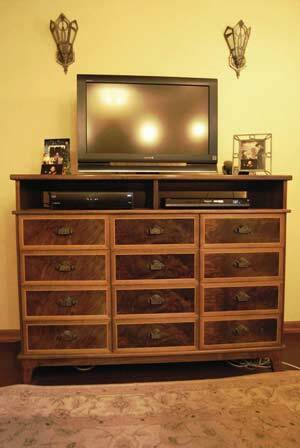 To find out more about the wood, hardware, and techniques that Mike used on his bedroom and living room furniture projects, CLICK HERE to go to the article! Stay tuned next Friday, when we feature our Carving and Turning columnists for February!